Description: Drawing inspiration from the Mighty Oak, this unique Vanity Light is custom designed to outline a mirror in a fine bath or other rooms. 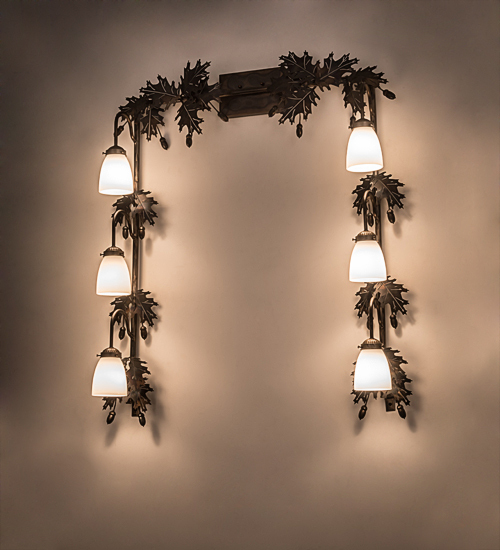 The wall fixture embraces 6 White Opal Goblet styled shades to deliver functional downlighting which is complemented with a Dark Burnished Antique Copper finished Oak Leaf and Acorn accents and frame. 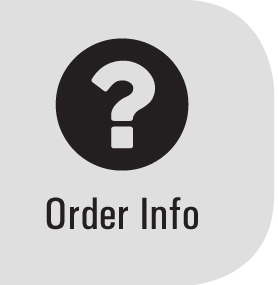 Custom crafted in our 180,000 square foot manufacturing facility at the foothills of the Adirondack Mountains in Upstate NY, this wall fixture is available in custom styles, sizes, and colors, and with dimmable energy efficient lamping options such as LED. This 36-inch wide luminaire is UL and cUL listed for dry and damp locations.